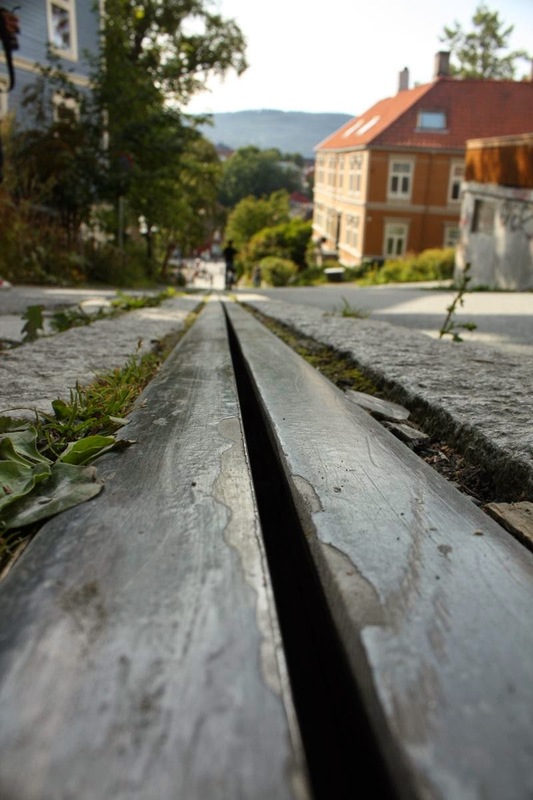 The Trampe cyclocable — In the city of Trondheim, Norway has become since its invention in 1993 in one of its attractions. 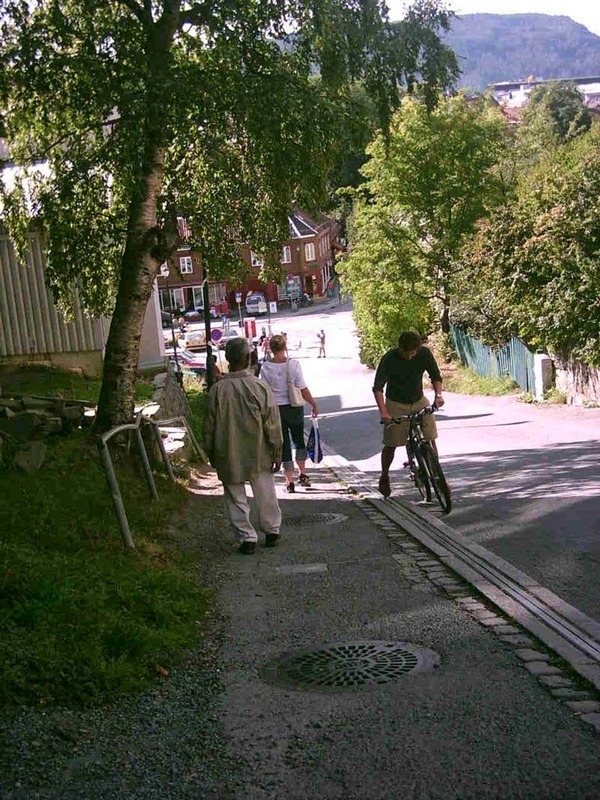 Although it is a coastal town with little elevation, life of the city is located in the upper part thereof, must save up to 300 meters of altitude in a few meters away, leading to terrible and steep slopes. 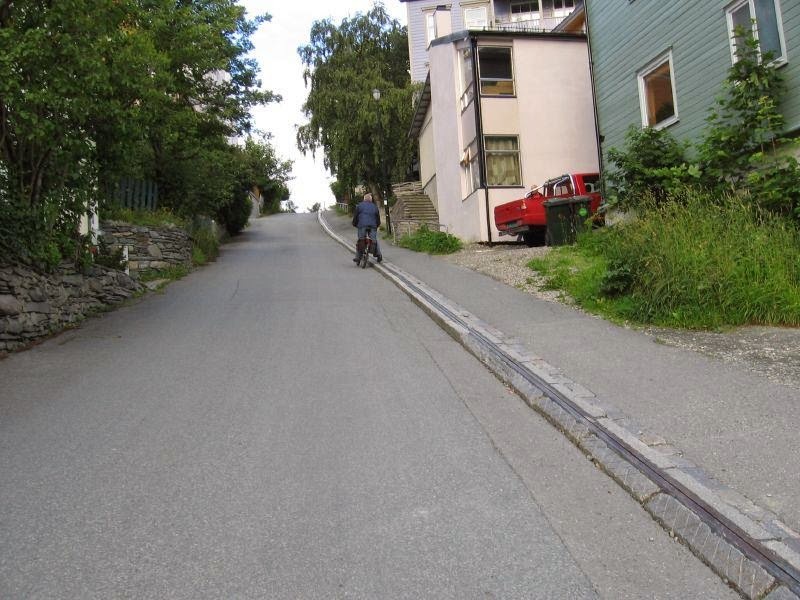 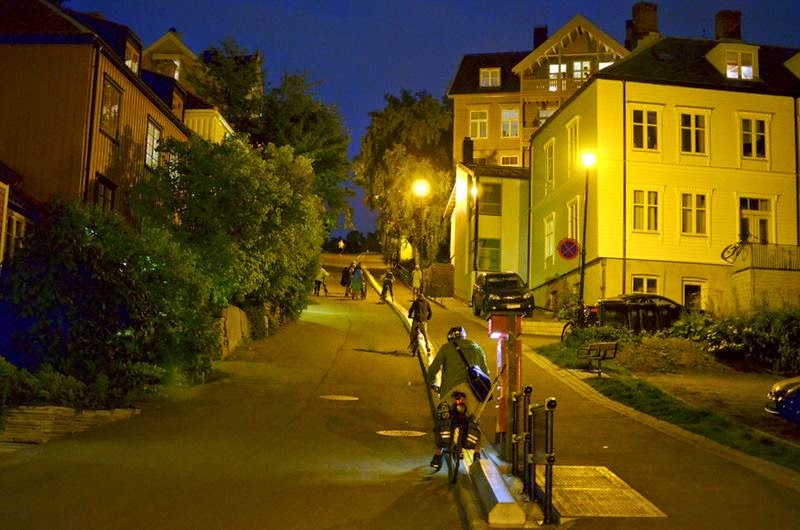 Its invent by Jarle Wanvik, a big user of the bicycle, thought to apply the concept of chairlift ski riders, devising a system that would overcome these steep streets without having to get off the bicycle. 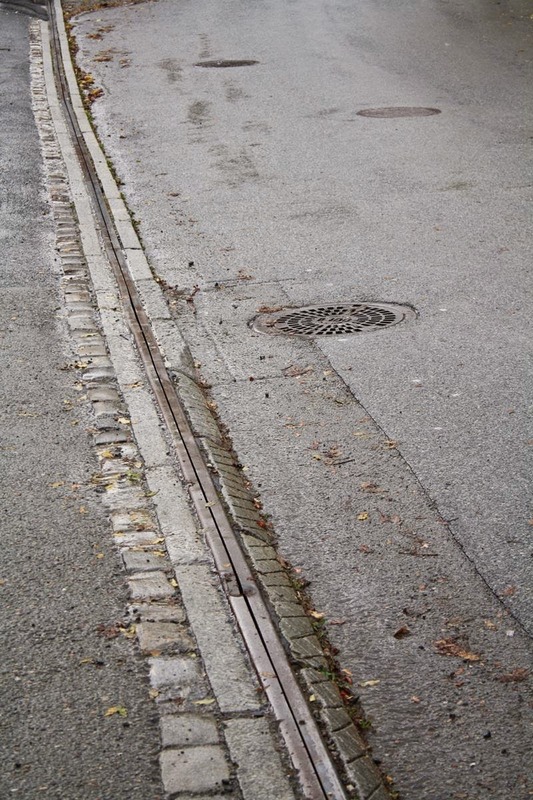 The most of design of this structures are placed in underground, just below the surface of the street, so that people and vehicles can cross safely via unhindered and without that we see hanging from poles and wires hazardous moving parts for people. 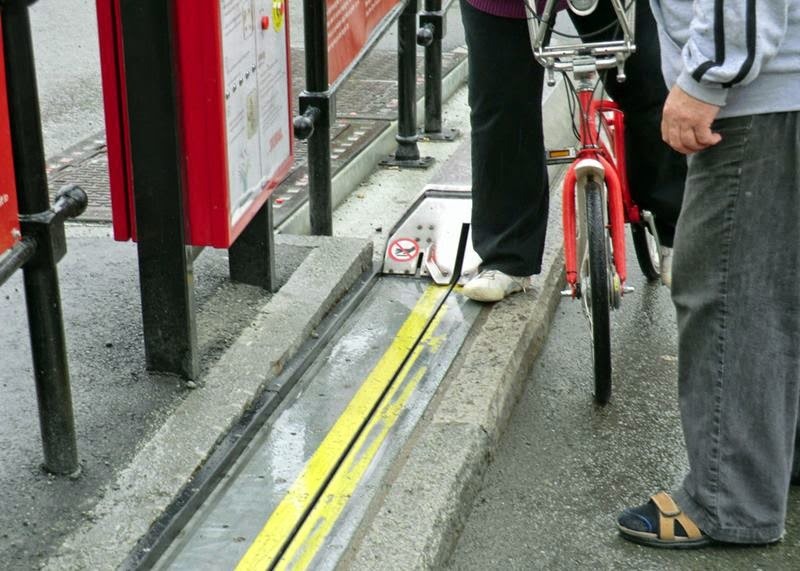 The distance between the footrest where each rider is placed is 20 meters elevation speed is 2 m / s, for a maximum of 6 riders per minute or 360 cyclists per hour on a stretch of 130 meters or 427 ft. During its 15 year operation it has pushed more than 200,000 cyclists up the hill in Brubakken in Trondheim. 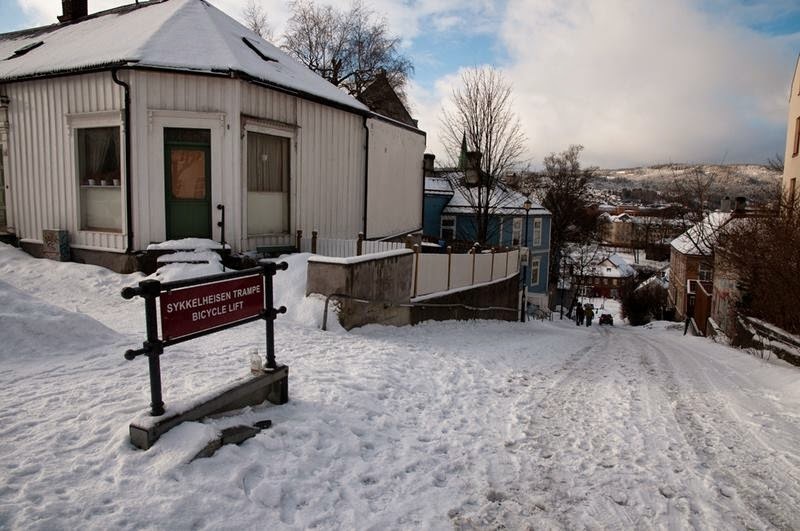 To use the elevator must first purchase a prepaid card and put it in the machine located at the base of the slope. 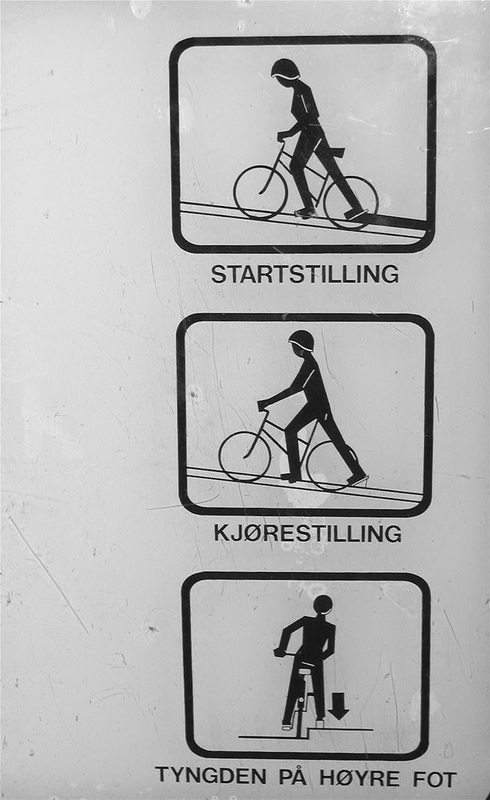 Then, the rider must place your right foot on a small pedal and press the button that will let you start the climb. 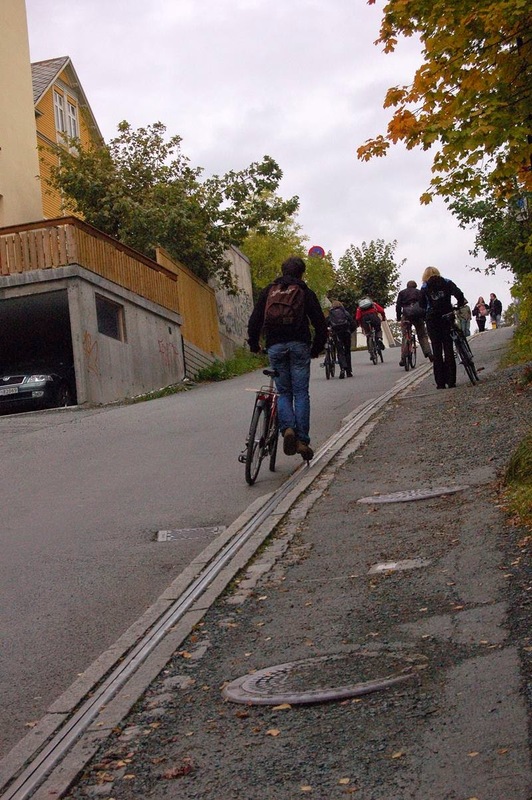 Local government Wanvik convinced that the bicycle lift would be a good solution to save the long slope that leads to the University of Trondheim. 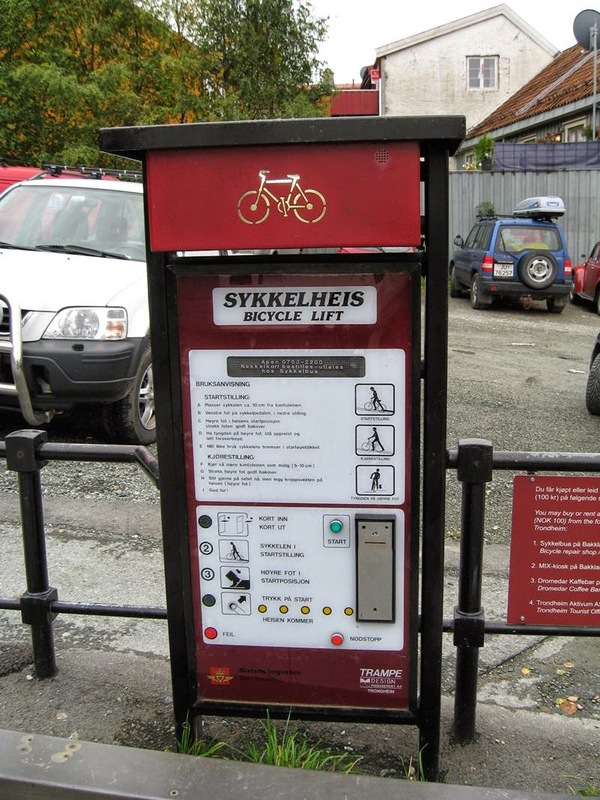 Today, thanks to his invention, students and teachers can get to school by bike without suffering major hot flashes .Jarle Wanvik, who hopes to see more bike escalators installed around the world to help promote casual cycling.